Comments: Prefers good drainage, tolerates alkalinity, specimen shade tree. Highly adaptable and long-lived. 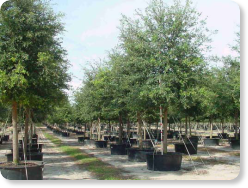 The best evergreen shade tree choice for Texas!